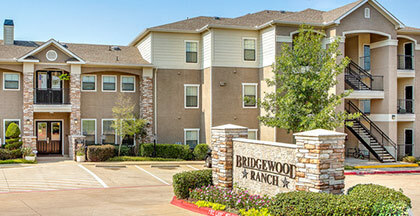 Visit Bridgewood Ranch Apartments on Facebook! Enjoy your new apartment home with custom home features and a community that offers unsurpassed amenities. We have a business center, small children’s reading center and work out area for our residents. The convenience of built in microwaves in every home, spacious walk in closets, full size washer and dryer connections in every apartment with garages and storage units available for rent.